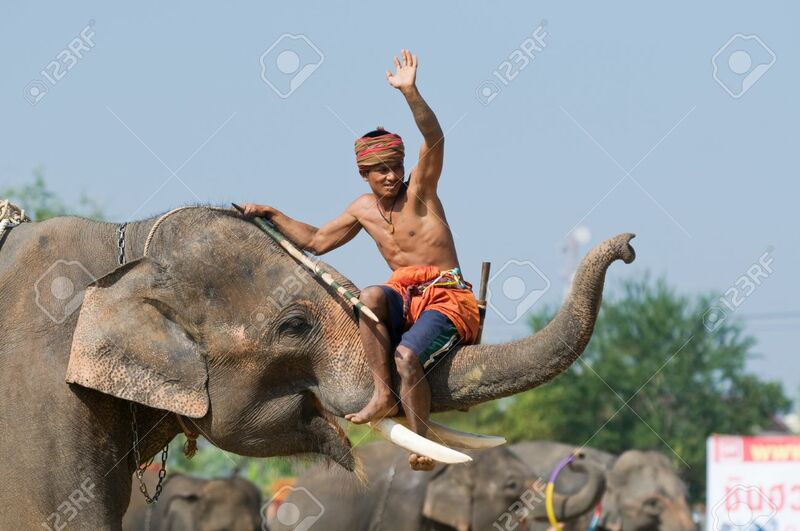 SURIN - NOVEMBER 21: Mahout Riding On The Trunk Of His Elephant.. Stock Photo, Picture And Royalty Free Image. Image 8322186. Stock Photo - SURIN - NOVEMBER 21: Mahout riding on the trunk of his elephant during The Annual Elephant Roundup on November 21, 2010 in Surin, Thailand. SURIN - NOVEMBER 21: Mahout riding on the trunk of his elephant during The Annual Elephant Roundup on November 21, 2010 in Surin, Thailand.